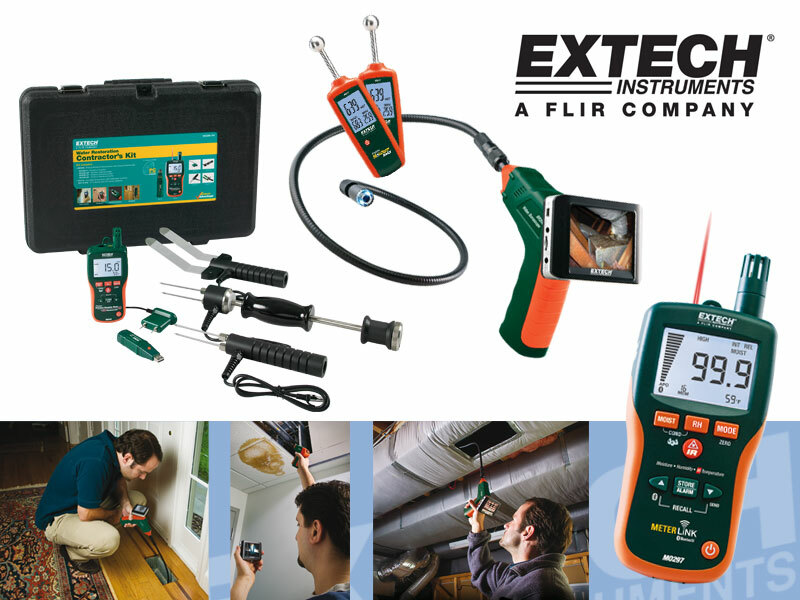 If you are thinking about buying a new test and measurement tool, look for the brand with a long-standing history of innovative tools, look for Extech. Since 1970, Extech has been a market leader supplying innovative, rugged products at reasonable prices. See our range of distance, temperature and humidity meters, data loggers, videoscope inspection cameras and a number of remediation and restoration kits that are particularly suited to the fire and flood restoration industry.